Masai giraffe mother and calf at the Toronto Zoo. Photo credit: Toronto Zoo. 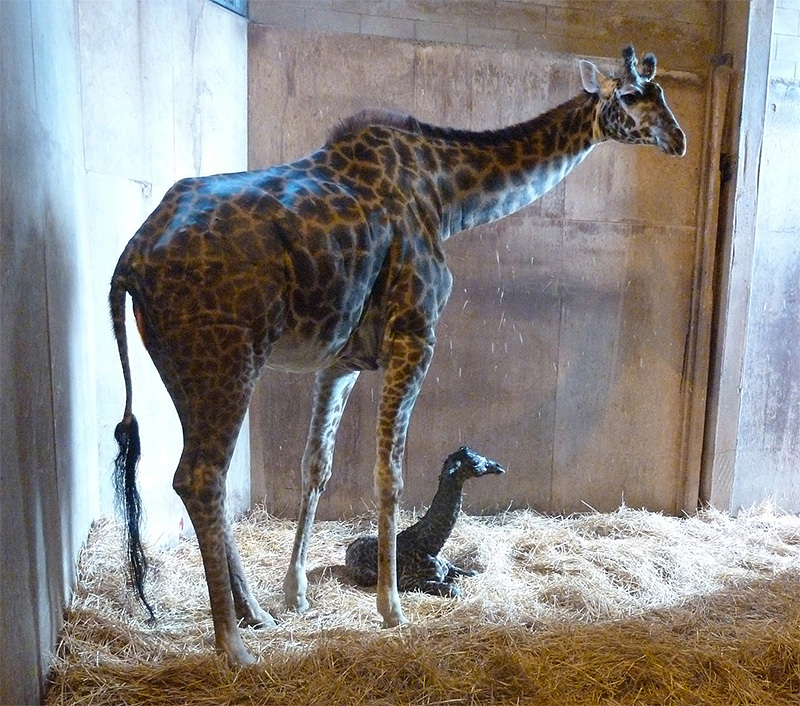 Twiga, a 23-year-old Masai giraffe at the Toronto Zoo gave birth yesterday to a baby female calf! “The Toronto Zoo is part of the Masai Giraffe Species Survival Plan (SSP) and the birth of this calf is very important to the North American captive population,” says Maria Franke, Toronto Zoo Curator of Mammals. To learn more about giraffes, see our giraffe facts page.